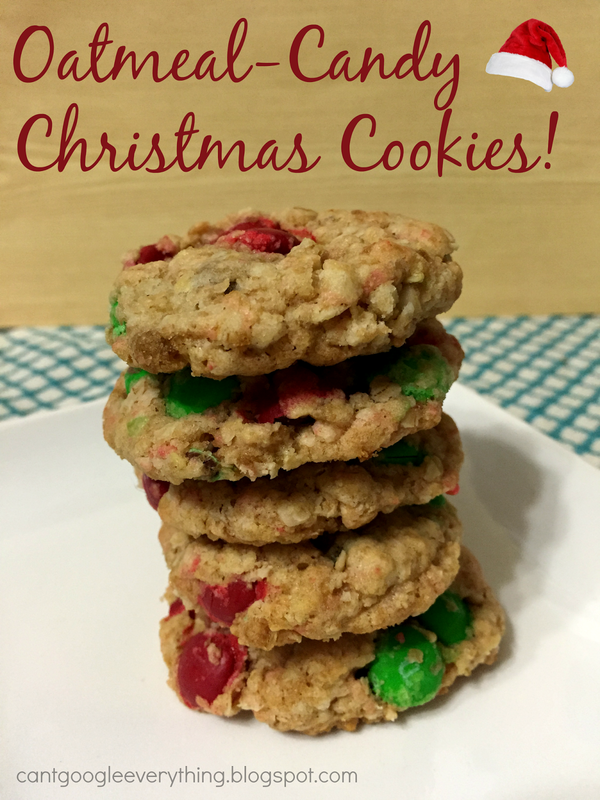 Virtual Cookie Swap Party: Oatmeal-Candy Christmas Cookies! Today I am joining up with Momma Lew and her blogger buddies for a Holiday Cookie Swap Party and you are all invited! Grab a cup of coffee and enjoy the cookies that each blogger has prepared for you! 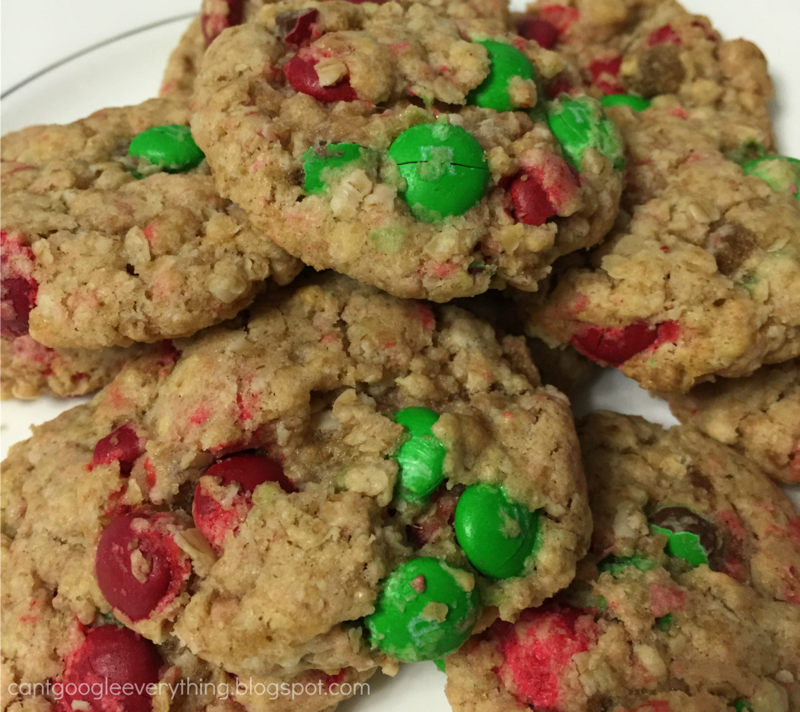 I made Oatmeal and Candy Cookies with Christmas colored M&Ms and they are amazing! mix until just mixed, some of the M&Ms might break and thats okay! Guys these cookies are so amazing you won’t even believe it! I’m not even joking, I made these when my in-laws were over and we ate them all in less than 2 days! Check out all the recipes in the link up! When you are finished enjoying your cookies, we have a great giveaway for you to enter! One lucky reader will win a prize of $100 PayPal Cash to help with your holiday shopping! This giveaway is open to U.S. Residents, 18+ and one entry per household. Giveaway will end on 12/15 at 11:59pm EST. Momma Lew is responsible for prize fulfillment. This is a blogger sponsored giveaway. These look great. The kids would love the m&ms and we would like the oatmeal. I love a cakey, frosted sugar cookie! I love the idea of a virtual cookie swap – how fun!!! Yours look amazing, too. Oatmeal anything is my dad's favorite. Yummy! I just bought mini M&Ms the other day… I should try these! They look delicious and so festive! I love a good oatmeal cookie! These look perfect for the season! These cookies look so fun. Love it. Peppermint cookies are my favorite. These cookies look amazing and I am totally pinning them for future use!! My favorite Christmas cookie recipe has to be either my great-grandma's Ice Box cookies or her spritz cookie recipes. My Nan (great gma) used to make soooo many cookies and I am so thankful that her recipes have been passed down to me so that I can try my hand at them!